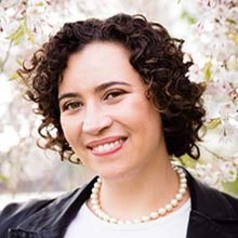 Meredith Broussard is an assistant professor at the Arthur L. Carter Journalism Institute of New York University, a 2018 Reynolds Journalism Institute Fellow, and the author of "Artificial Unintelligence: How Computers Misunderstand the World." Her research focuses on artificial intelligence in investigative reporting, with a particular interest in using data analysis for social good. Her newest project explores how future historians will read today’s news on tomorrow’s computers. A former features editor at the Philadelphia Inquirer, she has also worked as a software developer at AT&T Bell Labs and the MIT Media Lab. Her features and essays have appeared in The Atlantic, Harper’s, Slate, and other outlets. Follow her on Twitter @merbroussard or contact her via meredithbroussard.com.